Well, here's some good news and bad news for those rooting for Scott Disick and Kourtney Kardashian to reunite. On Thursday, Scott Disick shared an Instagram featuring Kourtney Kardashian. That's right, he posted a picture of her, and even called her "one hot mama" in the process. The photo he shared is actually from Kardashian's Vanity Fair "Metallic Life" shoot, a project for which she stripped down, and apparently Disick loves it. He wrote alongside his IG, "Now that's 1 hot mama." It seems like he still supports his ex-girlfriend in her endeavors, which is nice. But it's also kind of heartbreaking. Some might not see it as sad, but in a way, it seems like this is the Keeping Up With the Kardashians star's way of expressing how much he misses the mother of his three children. He's clearly aware of her current projects, and is following what she does. Obviously, there is nothing wrong with that whatsoever. 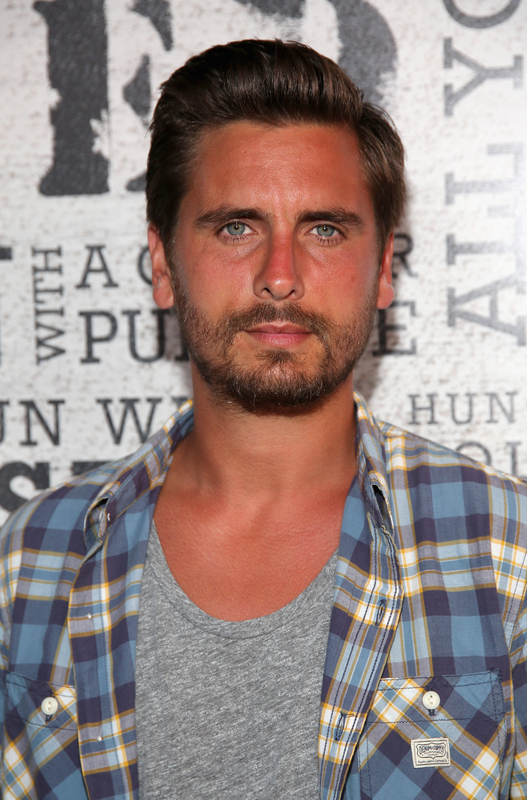 I think it's great that even after their split, Disick still praises Kardashian's work. There are some who probably think he needs to move on, but maybe this is his way of coping with everything? After all, they were together for nine years. This isn't the first time that Disick's posted somewhat of a cryptic Instagram. In August, he posted a picture of a place card reading "Scott Disick Guest" and captioned it: "When u realize the grass isn't always greener." This was definitely another heartbreaking picture, especially since Disick realized that he didn't have a "guest," aka Kardashian, with him at the event. Whether or not Disick is sad about not having Kardashian as a romantic partner in his life, there's one thing that's certain: He sure knows how to get all those Scott and Kourtney shippers feeling all kinds of emotions for him.